I'm a push-over for art and for gray and this bedroom has both. Designer Charles Spada used BM Stonington Gray (HC-170) on the walls. What a lovely room! I could peacefully rest here! can you see me yawning?? This has become what feels like the summer of the- bedroom- that-will-never-be, at our house. We are working on our master bedroom and are in the home stretch, so all of these pretty details are exactly the inspiration I need. How thoughtful of you to know! ;0). I really happen to love what's going on with the artwork in this serene space. beautiful!! 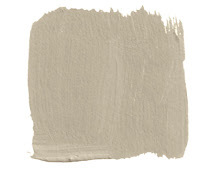 and thanks for telling us the name of the paint color. that was my first thought, "what color is that?!" and the art arrangement is perfect. 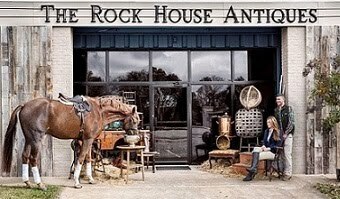 I think that a home can never have too much art. such pretty spaces- and grey is one of my favorite colors. lovely. I LOVE the "bedspread" in the second picture. So clean and pretty. that furniture and lamp are too much! I like art above the bedside table. Yes its a bit obscured by a table lamp- but it makes for such a pretty vignette! Lovely rooms, Donna! I am really liking white art with gold frames lately, it's a really chic alternative to typical black frames and matted art! I love the vertical trio of framed art in the second photo. I never think of hanging something so low on the wall... but I love it here! Indeed. Restful and timeless. Fine, white bedding is always right. This bedroom = quick and deep slumber. Love it! Lovely, I could totally take a nap there right about now. So elegant and restrained - lovely! Oh, I adore that wall color. I wonder if it takes on the gold undertone of the accessories under incandescent light at night. 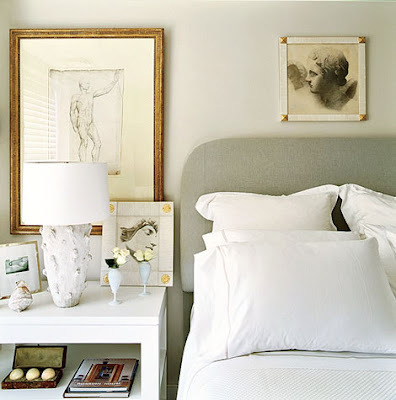 love that little ensemble next to the bed...the table, the lamp, the art. So pretty. 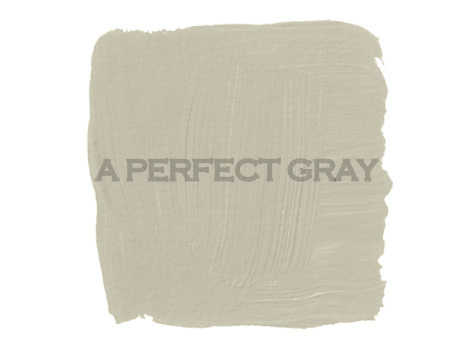 Oh, and I meant to tell you one of my favorite grays: Orion Gray by Ralph Lauren Paints. Pretty dark...but dreamy! We used it in our last home on the kitchen island and in the guest bath. 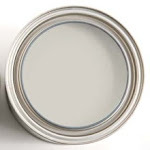 I also love Rustoleum's high gloss gray spray paint. Lovely, no doubt. What I really love, though, are the gold accents. Too many people are afraid to mix metals (gold and silver / gray) but I think it's fantastic. Gold weighs down the gray and stops the room from drifting off completely. And the gray lightens the gold. A perfect balancing act - ying and yang. Donna, I love the gold frames against the gray walls! Your titles are always so descriptive. I love that bedroom. I'm about to crawl in myself and that one sure looks good. I really love the huge art. So serene and calm! Nice find, Donna! man that first image is good!! He was the first designer I ever showcased on my blog, love his work. I am a push-over too - for gray and art!